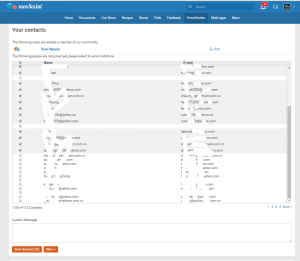 Friends Inviter plugin is mooSocial plugin that helps you growth your community by allowing users easy access to address book and inviting their contacts to join to your niche social network site. 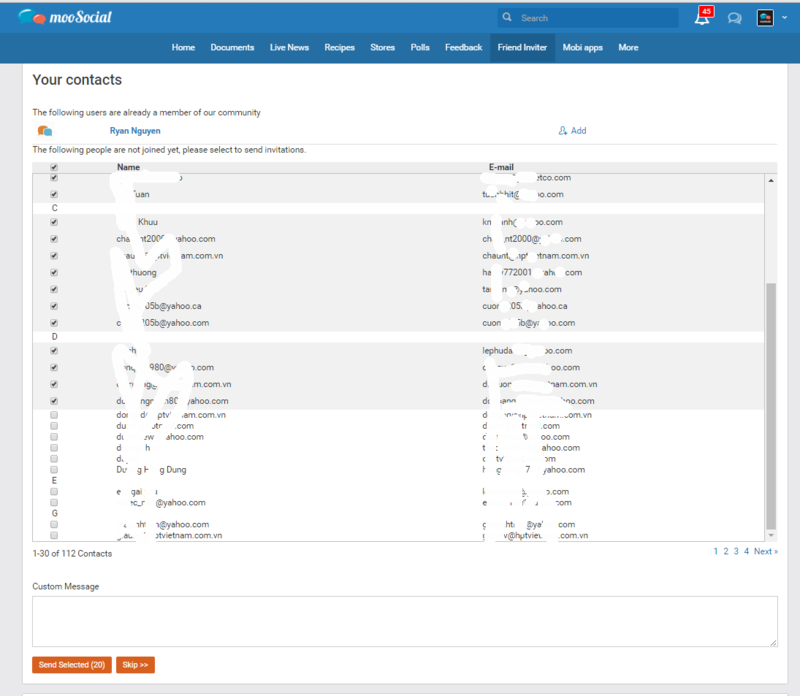 The plugin integrates with the most popular contact api web mail services include: gmail, yahoo and hotmail. + Invite friend via email providers: connect to gmail, yahoo or hot mail to get all contacts and send invitation to selected contacts in the list. 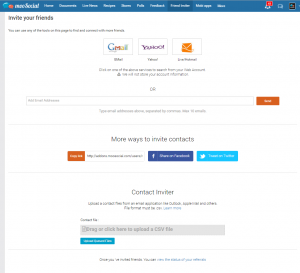 + Invite friend manually: Can enter email addresses manually separated by commas to invite. 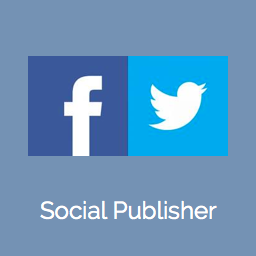 + Easy to share sign up link to fb or twitter. + Import friends from csv. 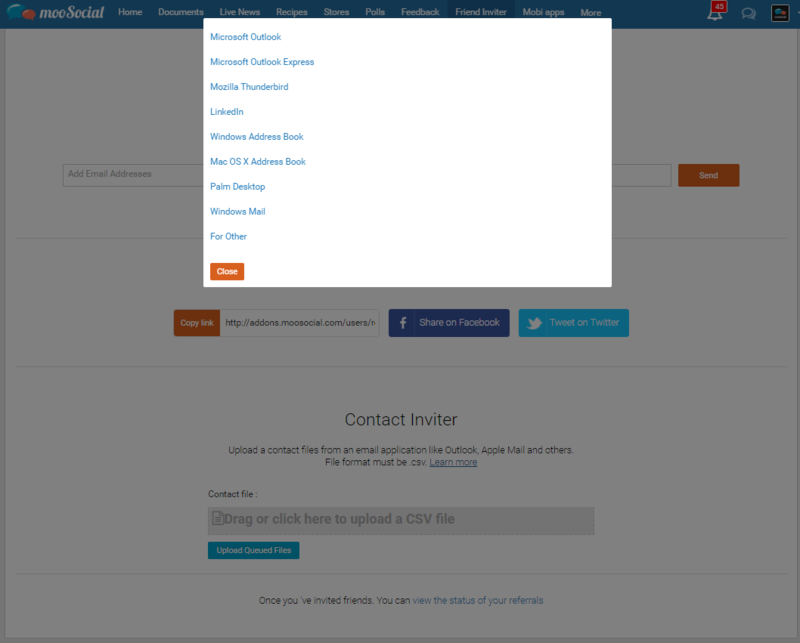 + Pending Invitations: Member can view list of invitations sent, who has joined. 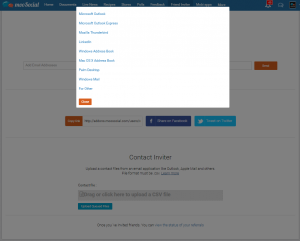 For each member in the pending list, member can resend invitation or delete it from the list. + Enable or disable plugin. 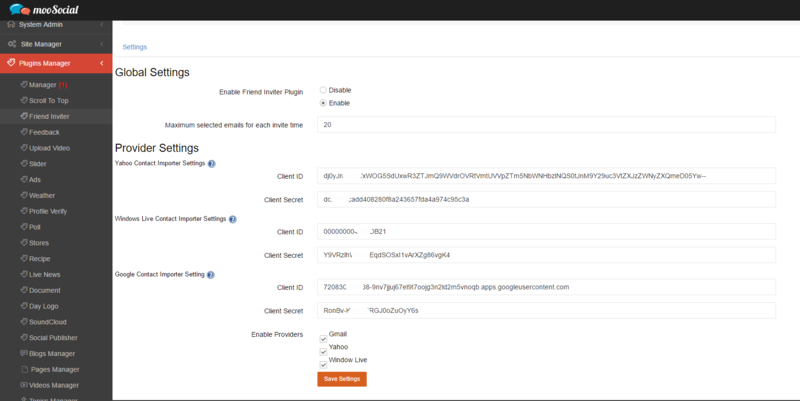 + Configure maximum selected emails for each invite time. + Enable or disable Providers. + Automatic adding friends after successfully registering: include setting in admincp for enable or disable this option. 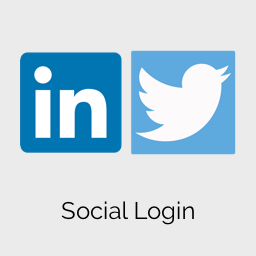 Twitter & LinkedIn Social Login allow your user to register or login on using their existing Twitter & LinkedIn social accounts IDs, eliminating the need to fill out too many info at registration forms and remember usernames and passwords.